Texas should not bank on legal action to free itself from the Obama administration’s proposal to tackle climate change, two state regulators said Friday. Referring to a string of recent defeats­ in challenges to U.S. Environmental Protection Agency rules, Texas Railroad Commissioner Barry Smitherman said regulators should think beyond litigation when planning how to respond to the federal proposal, which would require states to meet individual carbon targets. Considering that Texas’ deadline for submitting a plan to comply with the regulation is just two years away, Public Utility Commissioner Ken Anderson Jr. suggested that forming a plan to meet the EPA target would be prudent – regardless of whether Texas sues. “I'm just kind of working backwards and evaluating cost-benefit." At the workshop, state officials, industry representatives and energy experts wrangled with the complexities of the EPA proposal and debated how Texas should proceed. Under the plan, Texas would need to slash carbon emissions from its power plants by as much as 195 billion pounds of carbon dioxide in the next 18 years, according to a Texas Tribune analysis. That 43 percent reduction is among the larger percentage of cuts required among states. The EPA suggests that Texas could meet its goal though a combination of actions: making coal plants more efficient, switching to cleaner-burning natural gas, adding more renewable resources and bolstering energy efficiency. 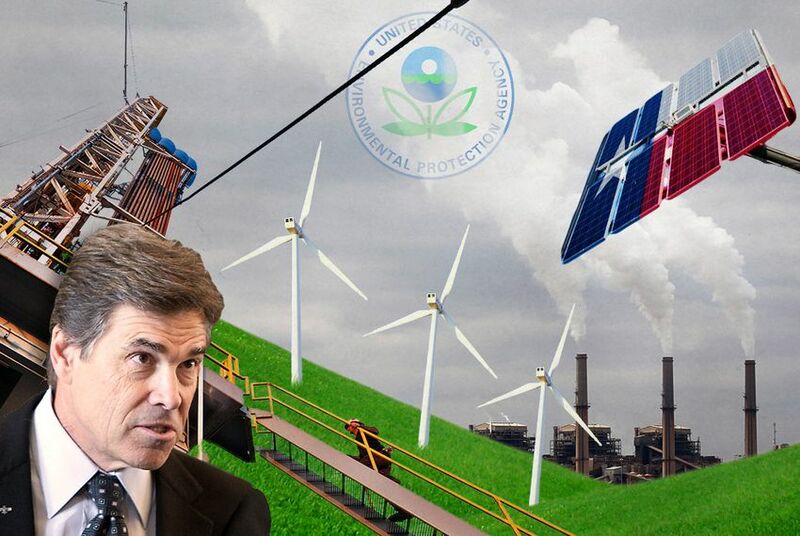 Texas would have until 2016 to submit a plan to meet its carbon target. The proposal, which will undergo a public comment period in the coming months, has already prompted a legal challenge from several states, and Texas is expected to sue once the rules become final. Texas Attorney General Greg Abbott, the Republican candidate for governor, promised to “continue fighting to protect jobs for those in the energy industry and the thousands of women and men who work in service and hospitality jobs that support energy workers,” after the EPA released the proposal. But Texas has yet to see success in its lawsuits against the Obama administration's climate regulations, litigation that has cost the state more than $350,000, according to the attorney general's office. Last fall, the Supreme Court declined to hear the state's appeals in two cases it had lost in lower courts: a challenge to the EPA's “endangerment finding,” which states that greenhouse gases are a danger to public health and welfare, and a challenge to rules that limit greenhouse gas emissions from vehicles. The Supreme Court also largely struck down Texas' challenge to the EPA's regulation of greenhouse gases from large industrial plants in June. And the state lost its battle against a different environmental rule, aimed at limiting air pollution that crosses state lines, in the Supreme Court in April. Phillip Oldham, a lobbyist for the group Texas Industrial Energy Consumers, said the rules would be a “death knell to the Texas Miracle,” and urged the state to sue. Donna Nelson, chairwoman of the PUC, said "we really can't do anything until the rule becomes final” in 2015. Though 12 states sued over the proposal this month, Abbott’s office told the Tribune that it is rare for Texas to litigate before a rule becomes final. Texas could ignore the proposed rules. If the state did not develop a plan to reduce carbon emissions, the EPA could do so instead. Much of the discussion Friday focused on what that federal plan might look like. "This is a question that comes up a lot," said Vincent Meiller of the Texas Commission on Environmental Quality’s air quality planning division. "EPA has not answered that question." The agency could impose a "cap-and-trade" carbon scheme on a group of states including Texas, he speculated. But even if the EPA came up with its own plan, it's unclear how it could force Texas to follow it. The last time Texas refused to follow climate rules, the regulations involved "greenhouse gas permits" needed to build facilities. Without those permits, companies couldn't build large industrial plants, prompting an outcry. This time, the power plants in question already exist, and the EPA would have a hard time forcing them to shut down if they're not following the rules. "I don't believe there is a reasonable [plan] that the state could present," Oldham said. Noting that EPA's penalties tend to run at $25,000 a day, which translates to $9 million a year, he suggested, "Compared to the cost of this, we should just write them a check." That suggestion caught Smitherman’s attention. Perhaps the state could create some sort of trust fund, Smitherman suggested, and compensate companies in Texas that were penalized by the EPA for refusing to follow the carbon rule. But that only goes so far, Smitherman told Luminant CEO Mac McFarland, noting that there is such a thing as criminal violations of EPA rules. Texas may be willing to compensate Luminant financially, Smitherman said, but "I don't think anybody's going to go to jail for you." Disclosure: Luminant’s parent company is Energy Future Holdings, which was a corporate sponsor of The Texas Tribune in 2012. A complete list of Texas Tribune donors and sponsors can be viewed here. Correction: An earlier version of this story misspelled the name of the CEO of Luminant. He is Mac McFarland, not Mac MacFarland.